High-spots include Briggs's wonderfully pellucid, ideally flowing treatment of the sublime Intermezzo in A major (Op 118 No 2, precisely Andante teneramente as marked). Mentored by the great Denis Matthews (the centenary of whose birth falls this year), Sarah Beth Briggs displays her customary composure, intelligence, pliancy and subtly hued tonal palette throughout this generous programme mostly inspired by Clara Schumann (1819-1896) – wife of Robert Schumann, Johannes Brahms's muse and (let's not forget) a superbly accomplished pianist and composer to boot. The “poetry, passion, rapture and intimacy” that Clara found so potent in Brahms's late piano music are perceptively quarried in these tasteful performances. High-spots include Briggs's wonderfully pellucid, ideally flowing treatment of the sublime Intermezzo in A major (Op 118 No 2, precisely Andante teneramente as marked); and what grace and serenity she locates in the Allegretto grazioso central portion of the Romance in F major (Op 118 No 5). 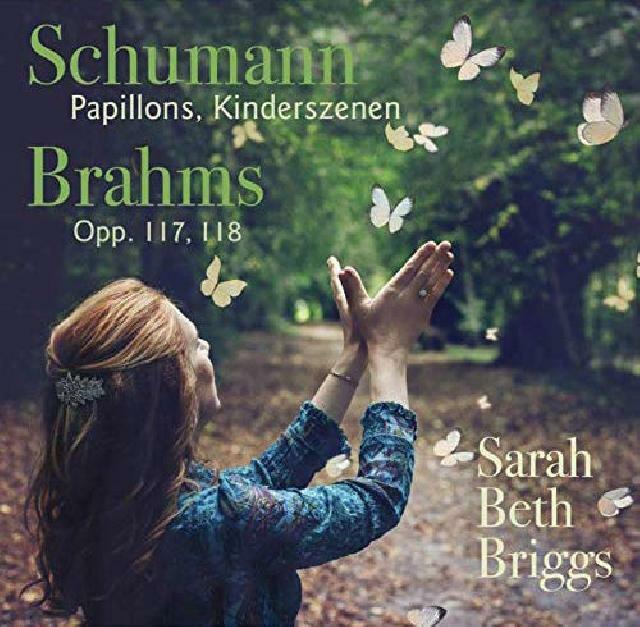 In both Papillons (here sounding more than ever like a dry run for Carnaval) and Kinderszenen she proves a comparably unhurried, enviably discerning and keenly observant guide. Briggs herself pens a personable and informative sleeve-note, and Simon Fox-Gál's sound is outstandingly truthful too. If the programme appeals (and it certainly should! ), this is a disc that will afford much pleasure.